This started off not as I wanted but it actually ended up turning out really pretty and kind of funky. A tutorial was requested so I quickly put together something with my cell phone. 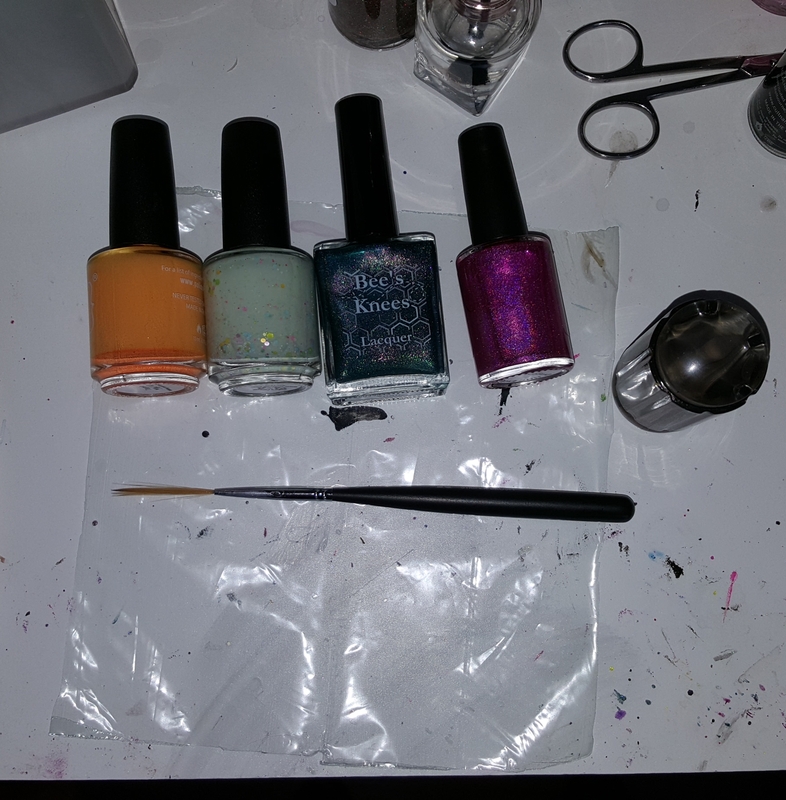 These are my supplies; my base color (second to left), a bright creme, a shimmer, and a holographic. I also used a plastic baggie (saran wrap would be fine too), a long thin nail brush (toothpick could work), and a stamper (which I’ve never successfully used for stamping, haha!). You can use more or less polishes if you’d like. 1. Paint your base color on the plastic baggie. Not too thin but not like a puddle either. 2. Dot your other colors on the edges of the base color. You don’t want too many dots, so one or two dots of each color is fine. 3-6 total dots is good. 3. Take your nail brush and brush through the dots. 4. Press the stamper onto your canvas and pull up, it will look similar to picture 5. 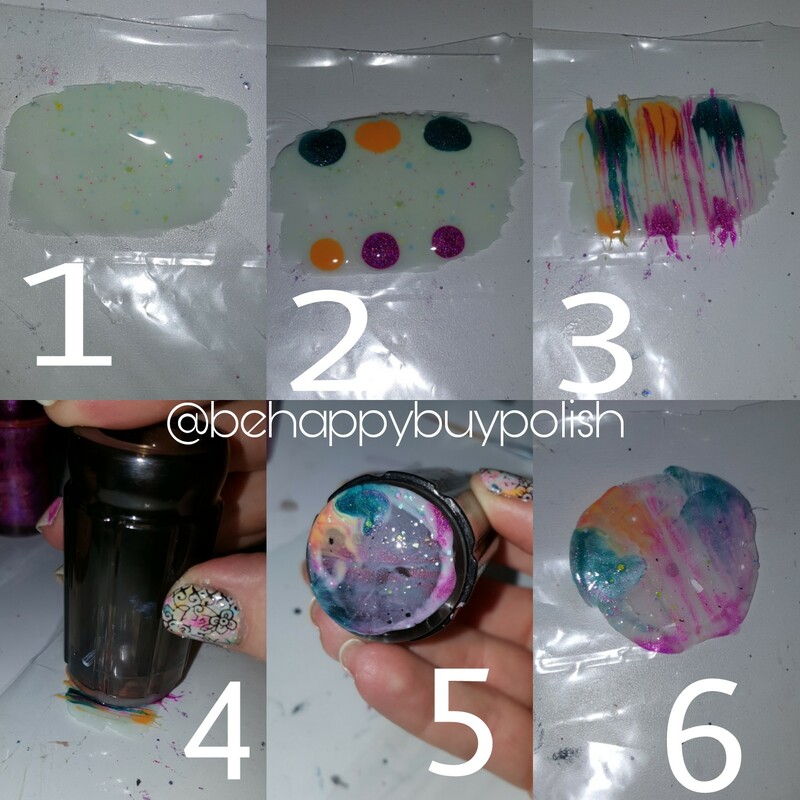 You can either press your stamper back onto the baggie, let it dry, peel it off and then apply to your nail (like a decal) OR apply straight from the stamper onto your nail. I applied straight from the stamper to my nail. 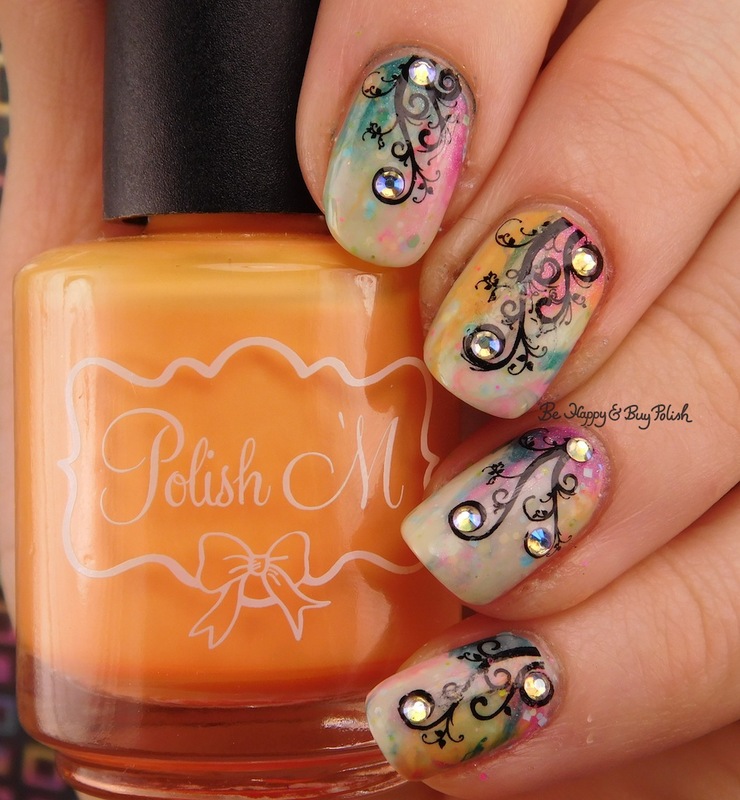 Then I just used water slide decals and applied nail gems from Crystal Parade. 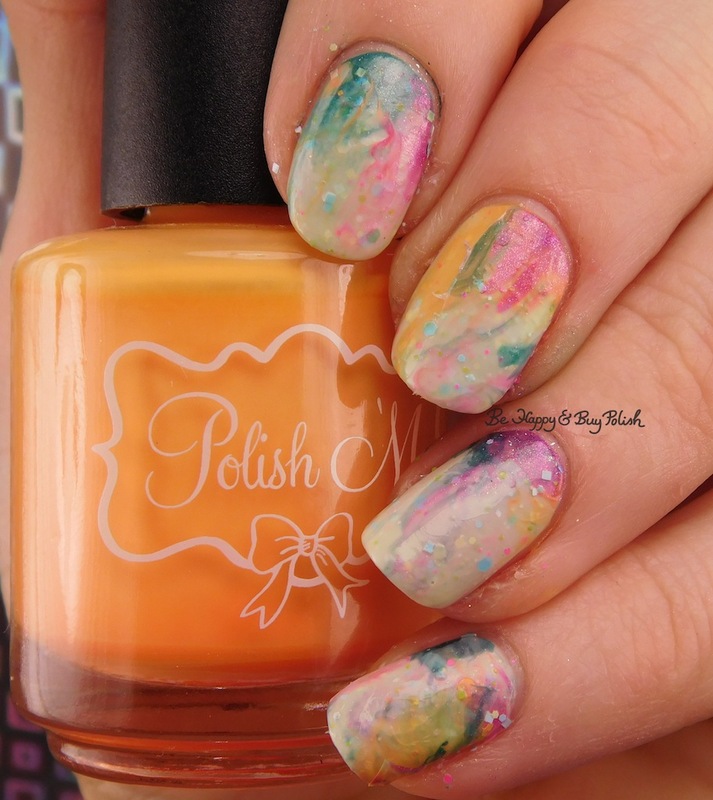 But you could just top coat it and call it good. I hope this helps! 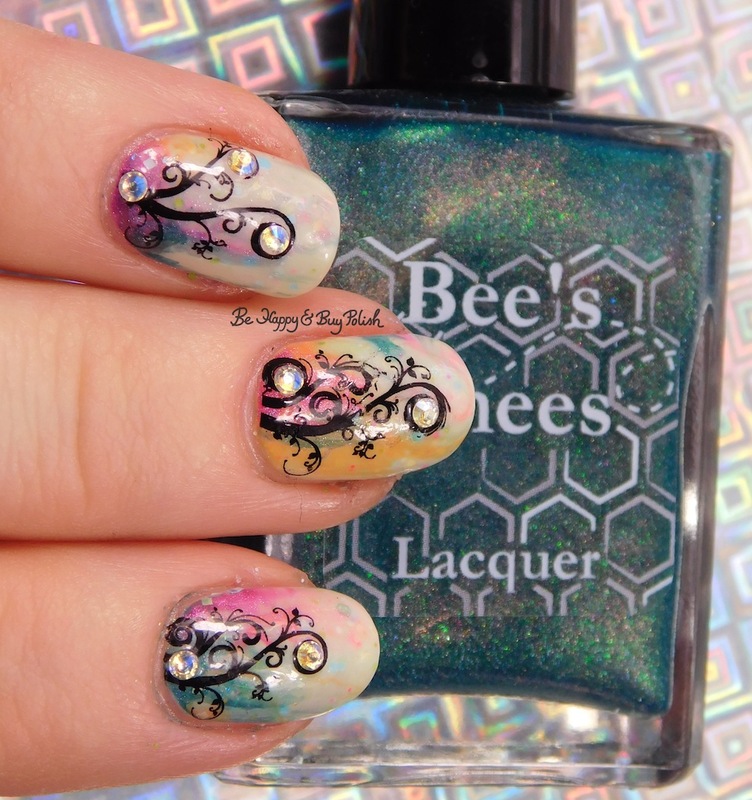 Really pretty design you got! Love the different colors.